This years Holland Open has come and gone. As always conferences are about people. The people that present are obviously in the picture, their message is getting the lime light. The people that present their company are also very much willing to present their products and services. Simon Brouwer from Open Taal and the Dutch Open Office project promoted the availability of language tools for everyone. Simon discussed the need for Open Source tools to be as good in its support as any other tool. For the Dutch language this has proven to be problematic because of the proprietary nature of contracts for the support of the official Dutch orthography. The "Nederlandse Taalunie" has started to provide certification of a spell checker and this certification has now been issued to spell checkers for Dutch, including the one used by Open Office and Firefox. There is more to this story and, I hope to inform about this in a future post. Talking with people I have worked with in the past is always nice. I met with the people of Edia, they have a great little tool for people learning the Dutch language. Terminology that is current and of interest is the terminology learned best. In their news reader "Alane", people read small articles about things that are currently in the news. They are combined with excercises that help improve language skills. This is great software. This approach would work with any language. We discussed how we could help each other. At the conference there was a prominent education track. I was really happy to meet Bob Hofmans from iEARN. When you are in education, and you do not know iEARN, you should! It is an international organisation that helps students become citizens of this world. This conference was great for them because it brought people together and it kicked off new projects and experiments. I will be interested what Second Life will do for them. With people of companies like SUN and IBM present, it proved an excellent opportunity to pitch some of the issues that I deal with. We talked about standards, the ISO-639-6, localisation and the role of communities, the changed role of companies in the face of Open Source. Yes I showed what we did for Commons as well. People love the idea of being able to find pictures in multiple languages. The next step is to make the demonstration project a reality in Commons itself. Durova was informed that her restoration became a featured picture. Thanks for helping out determining the exact text. I love TED, short presentations that inform about the essence of things by people who live their subject. Brewster Kahle gave his presentation and I loved it. Brewster is a librarian, his approach to this modern age is one that you might expect of librarians. His approach is one of bringing things together, preserving them to make them available for all people. Bringing things together needs doing for many different materials. Books, music, movies are all different and they all have their own issues. I love it that books that are either in the public domain or out of print are digitised and, at $10,- a book it is a bargain. I love it when he promotes the OLPC laptop as a book reader. I love it when storage is made available for movies and albums. When you hear Brewster talk, it can be done, it should be done we will give us the next generation we deserve. When you listen or read about the Internet Archive, the way it works, it is interesting to compare it with another organisation; the Wikimedia Foundation. Both aim to bring knowledge to the people of this world. Both are not limited to one language and both give an exemplary example of how things can be done. The Internet Archive is much more structured, organised, relatively few people are involved but they are involved in a professional capacity. The Wikimedia Foundation involves people, communities to make new information available, as people volunteer their effort there is less structure, things get done when they get done. When the Internet Archive provides the library, the Wikimedia projects provide the books and the people to read stories in the library. All people are welcome but like in a real life library not all the books are there. As both organisations provide a work in progress, it is exciting to know that such brilliant projects exist and that we are part of the world that makes this happen. A new film by one of the most prominent actors was blocked to have its premiere. The movie starring Amitabh Bachchan met fierce opposition because his wife had the audacity to promote Hindi over the Marathi language. A politcian took this the wrong way and threatened to prevent any screening of a movie starring a member of the Bachchan family in the state of Maharashtra of which Mumbai is the capital. 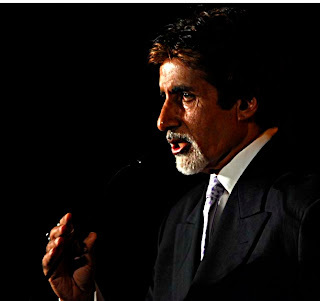 Mr Bachchan apologised and indicated that no malice was intended. The movie may now have its premiere after all. For me this news is relevant because it demonstrates quite vividly how much people care for their own language, their own culture. Language is the reason why East Pakistan is now Bangladesh. People who argue that just a few languages suffice for the Wikipedia project, are people who invariably speak a language that is not under threat. They are people who love to tell other people what to do. One recurring activity of mine is to inform Wikipedia communities how the localisation of their language is progressing. For many languages there is a steady trickle of work done on Betawiki for others there is nothing to show. The chances of getting any localisation done when not even the "most often used messages" are at 50% are slim. 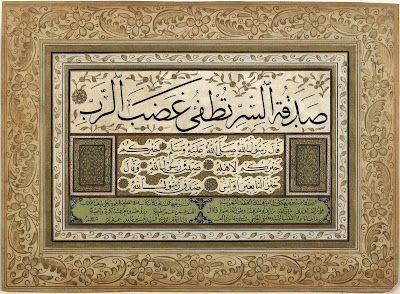 Durova is restoring some Arab caligraphy. It is part of her ongoing effort of restoring diverse and interesting material. What I admire in her effort is the amount of effort invested in restoring material about all kinds of subjects from all kinds of places. The effort to restore this caligraphy came to a standstill because it is not yet clear what diacritic is to be found on the top line. We have asked a few people, one person insisted that several diacritics were to be changed and another was not sure what needs to be there..
Maybe you can provide Durova with the right information.. This is the 500th entry on this blog. It started on April ninth 2005, things progressed since then. At the time I wished for more people becoming part of the Wiktionary crowd at this time I think the Wiktionary aproach is obsolete and I consider OmegaWiki a more healthy approach. The subjects that I have been written about have changed over time, I am still involved in the Farsi language; I now have a book that will help me learn to read Farsi, I am now looking for a typing tutor for the Persian keyboard layout. Sign languages are more on my mind as well, I am really looking forward to the process of getting the American Sign Language its Wikipedia. When I read the many issues that I raised, I find that many are still there. People still fight over what languages we are to recognise and adopt. There are still projects that use a code that should not be theirs to use. Babel information is still this stupid template driven thing that is locked within the confines of individual wikis. Many things have come a long way, the development of OmegaWiki is now reaching mark II. The Wikiprofessional is actually there and even better, it is useful. The localisation of MediaWiki is now considered to be relevant, there are now over 300 languages supported in Betawiki. It took me three years to write these 500 blog entries. Things will be different in three years time. I hope to be able to converse in Farsi, I expect that Commons will have multi language support. We will still be struggling to keep MediaWiki localised and I am sure there will be enough good and bad to write about. 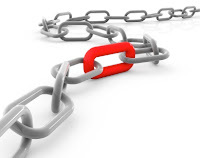 There are two types of vulnerabilities, typically people only talk about those vulnerabilities that have to do with hackers, phishing and the likes. More people have to deal with their software being vulnerable to crashes or slowdowns. This is where Chrome makes an important difference. With Chrome it is one session that takes the hit, the sessions behind other tabs are to continue unhindered. These vulnerabilities are part and parcel of what security is also about. When a new browser becomes available as beta software, it is not necessarily complete, it may still have issues. It is nice when security issues are identified, this will help the quality of the product improve. But the general trust of the blog is narrow minded, it misses the point of Chrome. When you ask people what project is the most useful to them, you expect to hear "Wikipedia". Often it is not the English language variation of the project, but Wikipedia is what you typically hear. I asked a relative of mine what her favourite was, and to my amazement it was Wikiquote. Finding good quotes is of importance to her and Wikiquote fulfils this role. Some people are of the opinion that Wikiquote is not so useful, that it is to be closed because many of the quotes are at best available under fair use and not under a viral license. The proposal can be found here.. I hate these recurring eruptions of destructiveness. Google produced a new browser called "Chrome". Many words have been written about it, there is a strip explaining the technology behind it, many people have given it a test drive. I did. I think it is great. What I like best about Chrome is its speed. The word Niue exists in many languages and this expression is one of the worst performers on OmegaWiki. With Chrome it is significantly faster. With processing done locally, Chrome makes a big difference. The other thing that I like about Chrome is the fact that it is Open Source. Google explicitly invited the "other" browsers to borrow and steal from what Chrome has to offer. In the same way, Google happily indicates that Webkit and Firefox are part of Chrome's pedigree. I love Firefox, it has features and extensions that are must have for me; spell checking is one such. With Chrome being the first iteration of a beta product, I think I can look forward to extensions with confidence. It is great that the browsers world is becoming even more an eco system where new developments are shared and where the scene can evolve and mature with multiple players having temporary advantages. It is the user that will benefits most. Yesterday, Siebrand send out the third Betawiki e-mail newsletter. As always his evaluation of the state of play at Betawiki was concise. The newsletter was send out to 830 people who have a confirmed e-mail account and who did not opt out. The newsletter is important, the blogging and posting about localisation is important. Why we do it is best explained by the "sea of red" that can be seen in the group statistics. Localisation is vital for the success of all the projects in a language. Localisation is hard work, hard work that is done by a few good men for the benefit of all. We need many more good men and women to help our projects do better. At the end of the month, we always reflect on the new statistics in time. This time it does not look too good. Most numbers have gone down. I have been told that it has to do with a lot of messages that have been "FUZZIED". When you compare the numbers included in the newsbrief, comparing 12 July with 30 August, you will find that in that time frame, the numbers have gone up. We want to show good results, for this to happen we need active participants for the many languages that we support. Some languages like Arabic, Czech and Farsi always seem to do really well where it counts. Many other languages do not even have the 500 most basic messages localised and no activity to expect change. What more can we do to improve our MediaWiki localisation ? 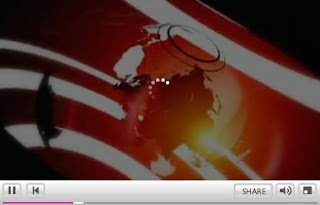 In a previous blog I mentioned that video on the BBC-news website did not work for me. I received as an answer that it "worked for me".. I am happy to inform you that I no longer need other browsers to watch these videos. I am really pleased that I can inform you that it now works for me too. I received an e-mail about my publication on Genome Biology. The message is that the article that I am one of the authors off is being well read. Some 13.919 people have read it from the Genome Biology website and it is now rated as "highly accessed" relative to age. This number does not include any of the readers who came to the article through Pubmed Central or other archive sites. This article is of interest to the Wiki world for several reasons; there are a few other authors to this article that have a certain reputation in this world but more importantly, I want you to have a look at the semantic support that is provided by Wikiprofessional to the English language Wikipedia. Consider for instance the article Malaria, when you look at it with the "Concept Web Linker" a wealth of information is provided to the article. Currently only English is supported. Support for Spanish and Portuguese is being developed and, we would love to include more languages. We are making a shortlist of languages Chinese (Mandarin), French, German, Arabic are already on there ... for personal reasons I would love to see Farsi included..